Bestselling Author, Kat Flannery: AVALANCHE IS HERE! 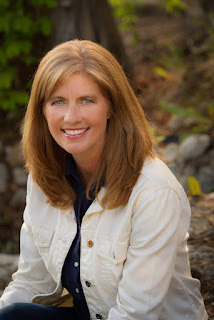 Thank you, Kat, for hosting me on your blog today. This is the third time you’ve announced a book for me. What an honor! 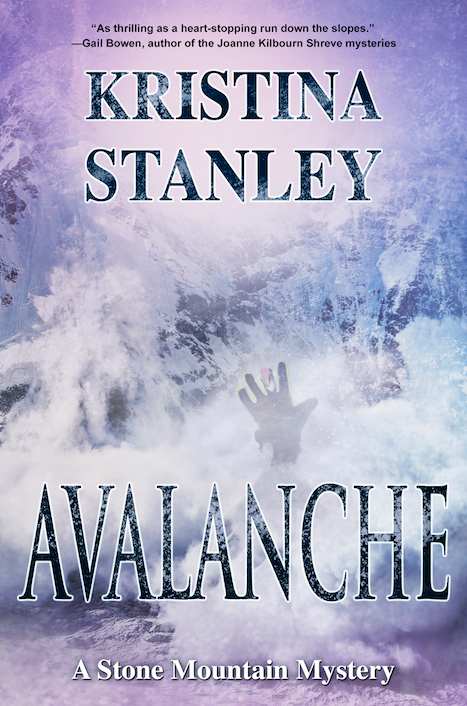 Today, almost a year after DESCENT was published by Imajin Books, AVALANCHE, the third in The Stone Mountain Mystery Series, will be released next Saturday on the 25th of June. AVALANCHE has a special place in my heart. It was the first novel I wrote. The original title was BENEATH THE SNOW. Somewhere along the journey, the name was changed. After I wrote it, I acquired an agent, and then I wrote DESCENT and BLAZE. We decided together that AVALANCHE fit better as book #3 in the series, so I rewrote it to fit later in Kalin Thompson’s life. RESEARCHING A NOVEL: Rewriting the novel gave me time to do more research into avalanches. 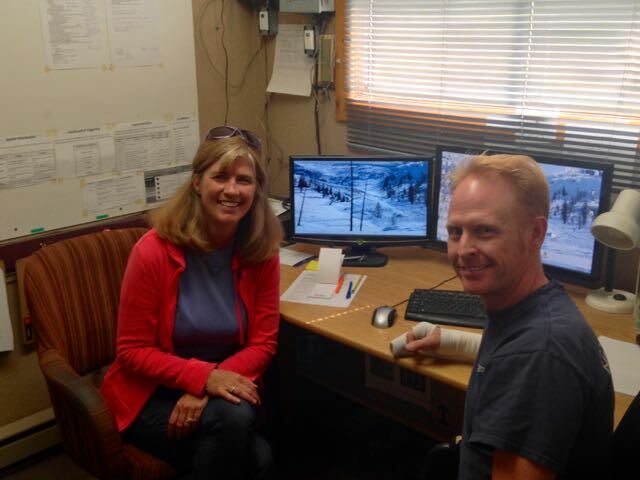 I met with Andrew Nelson, Association of Canadian Mountain Guides Ski Guide, Avalanche Forecaster and Educator. Andrew not only spent hours showing me videos and explaining the process a ski resort goes through when an avalanche occurs, he read an early version of AVALANCHE to check for accuracy. 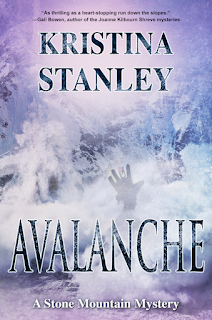 You’ll find his term “Ice Mask” on page two of AVALANCHE. videos of avalanches. The videos of a person being buried are so intense, I had to leave the house and go for a walk just to settle down. Just Google Go Pro & Avalanche and you’ll see what I mean. 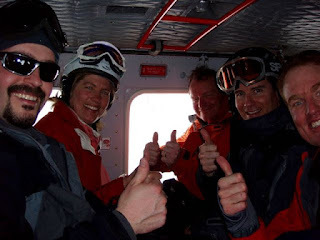 I went heli-skiing for a day. At one point, an avalanche cascaded down a peak on a nearby mountain. I experienced what an avalanche looks and sounds like. I have to say, I was a little nervous. The final part of my research included talking with a friend who had been buried in an avalanche. This is how I got the detail I needed about what it felt like be buried under a mountain of snow. So what is AVALANCHE about, you ask? garnered the attention of prestigious crime writing organizations in Canada and England. Crime Writers of Canada nominated DESCENT for the Unhanged Arthur award. The Crime Writers’ Association nominated BLAZE for the Debut Dagger. Her short stories have been published in the Ellery Queen Mystery Magazine and The Voices From the Valleys anthology. She is also the author of THE AUTHOR’S GUIDE TO SELLING BOOKS TO NON-BOOKSTORES. Hi Kat, Thanks for having me today. It's an honor to by on your blog. You're most welcome, Kristina! Thank you for coming on! Best wishes for millions of sales on Avalanche! I like the idea for millions of sales!